As a Christian psychologist it’s been important for me to look to the Lord Jesus Christ as the perfect psychologist. I look to him as my counselor. I study him and his ways to learn how to be a better counselor. I rely on his Spirit present in my counseling office as I care for people. This article and Bible study on Jesus’ ministry as the Wonderful Counselor is for counselors of all types: psychotherapists, pastors, spiritual directors, life coaches, teachers, educational advisers, business consultants, doctors, nurses, 12-step sponsors, small group leaders, coaches, parents, and friends. Did I leave anyone out? If you’re in relationship with other people then you need to learn to be a good counselor because all people have hurts and struggles! Of course, the most important thing to say about Jesus is that he is the Son of God, the radiance of God’s glory, and is our Savior from sin who died on the cross for us and rose from the dead to bring us eternal life! We also see that the Lord Jesus has other important ministry roles like teacher, healer, and counselor. Don’t think of psychology as beginning with Sigmund Freud who invented modern psychotherapy late in the 19th Century. There have been psychologists — doctors of the soul — throughout human history. Jesus is a true psychologist. Jesus is the best psychologist! Jesus understands the human soul, or psyche — first as our co-creator with God the Father, second as the incarnate Son of God who experienced being a man and living on this earth, third as the Redeemer who never sinned and conquered sin and death and Satan by rising from the dead, and fourth as the ever-living and present Spirit of Christ with us now. Imagine the best Christian therapist… Think of the most wise, caring, and helpful pastoral counselor… Jesus Christ infinitely surpasses these women and men! Some Christians say that since Jesus Christ is the Wonderful Counselor and the True Psychologist we don’t need human counselors. That’s not true! It’s a false belief that has brought great harm to many wounded, struggling Christians that I have talked to. The essential point for therapists and clients, pastors and parishioners, is that in the counseling process we must put our full trust in the Spirit of the risen Christ in our midst! Of course, training and knowledge and skill are also essential, but they’re not enough. To the extent that any psychologist, pastor, or counselor is truly helpful to others it’s because of the grace and wisdom of Christ operating through them, whether by active faith or common grace. All people are created in God’s image and all truth is God’s truth. The doctrine of common grace teaches that God may flow to and through people who don’t even acknowledge Christ. But how much more effective it is if both the helper and helpee explicitly look to the Spirit of Jesus with them as their Wonderful Counselor! The Lord Jesus is our example for how to be a good counselor. More than that, as I’ve been saying, he is the Source of all loving and wise care. We can’t effectively imitate Christ except as we internalize him by putting our trust and confidence in him. So keep this in mind as you proceed with this Bible study. It’s good to have a number of human counselors, but their is only one Wonderful Counselor! The best counselors know this. A good therapist is like the Psalms of the Bible. Here at the heart of our Bible God is our Therapist who listens with compassion to all our hurts, fears, complaints, and prayers. Here the Lord journeys with us through life’s ups and downs, without judgment or even impatience, and he leads us tenderly with grace and wisdom. Good counselors are wise; they embody the Proverbs of the Bible, not by dispensing them as advice, but by coming alongside people in their journey and gently guiding them. Trained and effective counselors are soul doctors. It’s natural that professional counselors, doctors, educators, and pastors want to be called “Dr. So and So.” They’ve worked hard for their credential and status and their “Doctor” title is part of how they offer their services to the public. But this puts clients and students in a one down position. Jesus himself, though he is the Son of God and Lord of all, didn’t go around boasting. He came as a servant to care for people on their level and he directed all glory and honor to his Father in the heavens. Good counselors are like good shepherds; they’re like Jesus, the Good Shepherd. Jesus says, “I am the good shepherd; I know my sheep and my sheep know me — just as the Father knows me and I know the Father — and I lay down my life for the sheep.” (John 10-14-15) Jesus is the Shepherd and Overseer of our souls (1 Peter 2:25). The Psalm 23 Shepherd develops a close, personal relationship with his “sheep” to guide them into green pastures and still waters, be with them in dark valleys, protect them, and empower them. Every caregiver, every Christian, is called to adopt Jesus’ mission statement. Professional counselors and pastors tend to wait for people in need to come to their office, attend their service, or participate in their program. We need to re-think this. Jesus didn’t wait for people to come to him, he went out to them and made himself available. He helped people not just in the designated places for help, like the synagogue and temple, but also in the streets, at a wedding, at house parties, when he was walking by the lake, when he was relaxing in a friend’s house, in gardens, by a well, and out in the desert wilderness. Counselors use active listening skills to draw people out, to help them share their concerns and hopes, to help them understand their true need and to connect them with God’s love. This is the kind of counselor that Jesus is. Perhaps the best example of this is his ministry to the Samaritan woman at the well and then in her village. 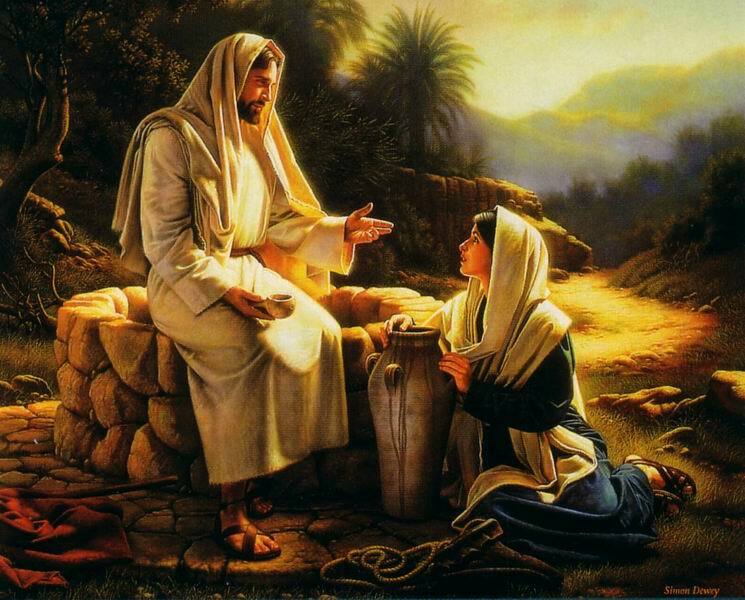 (John 4:1-42) Even though he was thirsty, he focused on her deeper thirst. He saw that she was beaten down by her sin and shame and by being abused and rejected and he surprised her by being gracious with her and engaging her in friendly conversation. He had powerful, life-changing insight to share, but he shared it gently so that she could receive it. When you’re hurting or struggling the last thing you want is to be judged! Yet, it’s so easy for people with knowledge to judge those who don’t have it. Soul shepherds must be nonjudgmental. They must be safe for people to share their weaknesses and hurts to. Good therapists don’t just give sympathy — they give empathy. The shortest Bible verse says so much: “Jesus wept” (John 11:35). His tears for Mary and Martha as they were grieving the death of their dear brother Lazarus were not tears of sympathy. It’s not that their sadness triggered his and he spilled out. These were tears of compassion in which the Wonderful Counselor felt for them, cared for them, saw that they were missing God’s comfort and wanted this for them. If a good counselor is anything they’re compassionate; they empathize deeply with people’s feelings and needs and demonstrate profound care for them. On every page of the Gospels we can find the great compassion of Jesus. He saw that people were like sheep without a shepherd, aimless and unable to truly help themselves, and so he had compassion on them. (Mark 6:34). He had compassion for the sick and the healthy, the hungry and those who were feasting, the poor and the rich, his mother and strangers, the sinners and the religious. He had compassion on everyone. Counselors need to be cheerful. People want to know if you’re glad to see them and if they can sense that it opens them to receive from you. Jesus was so happy that the somber religious leaders were scandalized! They didn’t think that piety and happiness mixed so they called him a friend of sinners and drunkards (Matthew 11:19). But Jesus knew that God’s kingdom is joyful (Romans 14:17) and he wanted to woo people into it. That why he kept pronouncing blessings (beatitudes) over them. Counselors need to be huge grace-givers. Jesus came to us from God “full of grace” (John 1:14). John contrasts him with Moses, saying, “The law was given by Moses, but grace and truth came by Jesus Christ” (John 1:17). Jesus gave law-truth like Moses, but not in a way that the grace of God would be easily missed. Jesus is full of grace and truth, which he is also full of, comes wedded to grace. People flocked to Jesus because his words were so gracious, his ministry was so life-giving. In one village after another thousands of people at a time kept flocking around him to listen to his stories, share their needs with him, and to learn from him. But the religious people envied his popularity and hated him for lavishing grace on outsiders and riffraff; they wanted God’s favor to be exclusively for them and they wanted a Messiah who would get rid of their enemies and so they tried to through Jesus off a cliff! (Luke 4:22, 28-29) Eventually they did kill him. Good counselors have lots of truth to share, but they know that truth is a surgeon’s scalpel and they’re very careful with it. Said from the opposite direction, an effective counselor needs to be an effective teacher, but their methodology of teaching is through active listening, empathy, and gentle suggestions. Our Wonderful Counselor says that the truth is what sets us free from our problems and hurts. But he says that the only way that truth delivers us from sin and distress is if we apprentice ourselves to him and holding to his teaching. (John 8:32) His Spirit is called the Spirit of Truth (John 14:17, 16:13). Therapists, pastors, and other people helpers need to be students of the people they care for. Our Lord “knew what was in each person” (John 2:25). He knew their thoughts and saw their faith in God or lack of it (Matthew 9:2-4). He saw the inmost emotions of people (Mark 12:15). The best counselors go deep with people. They help them to peel back the layers of the onion to get to the core. Jesus was anything but superficial in his conversations with people. He certainly did not stay on the surface in small talk, but like a “depth psychologist” he delved deep into the heart and soul of people. A metaphor of this is when he called the fisherman disciples to follow him for the third time, after which they gave up their fishing business and normal life to travel everywhere with him in his ministry. He said to them, “Put our your nets into deep water, and let down the nets for a catch” (Luke 5:4). Every counselor and every provider of care or wisdom needs to realize they’re putting a yoke on people. Whatever your philosophy for life is, whatever your values are, they’re a yoke or a teaching that people pick up from you. What is your yoke? Jesus the Wonderful Counselor has his best affect on people simply by being with them. In the Gospels we see repeatedly that healing power comes from his body. Large crowds press in on his body wherever he is and wherever he goes, resting in a house or walking along the road. Therapists and pastoral counselors need to accurately diagnose their clients’ main problem/need. All wise people helpers, even one friend to another, seek to discern and assess what the greatest need is of the person sharing with them. An essential part of loving people well is to know and understand them well. As Jesus interacts with people he diagnoses their true need. A great example of this is his conversation with the Rich Young Ruler. This guy is really earnest about wanting to do what’s right and good and to be the person for God that he can be, but he doesn’t have peace. Jesus assess that his real problem is not that he’s falling short of obeying God’s commands, but that he’s holding onto his possessions and his status. Even his wanting to be good is largely for his own ego. Jesus looks him right in the eye and loves him deeply (Mark 10:21). It’s easy for psychotherapists and other counselors to become negative because all day they’re dealing with people’s problems and pain, their sin and stress. But Jesus was quite optimistic; he saw the divine possibilities in people. Remember he said, “With God all things are possible!” (Matthew 19:26) Jesus saw that Simon the vacillator could become Peter the Rock. He saw that John the angry Son of Thunder could become the Beloved Disciple. Counselors have a lot of power because the people who come to them are vulnerable and often they’re broken or fallen. Good counselors are healers that seek to restore people. Good counselors are tender toward weakness and this facilitate a loving bond with people such that over time their spirit or attitude gets internalized. For therapy or other personal support to be maximally effective it has to be internalized so that the helpee carries the counselor’s compassion and wisdom in their heart. Professional counselors have ethics that govern their practice. But sometimes a body of ethics is just used to “stay out of trouble.” A good system of ethics boils down to Jesus’ royal law of loving your neighbor as yourself. This is the heartbeat of all counselling. To place the Lord Jesus Christ first and acknowledging Him as the True Counsellor for all times and seasons. A great article which I will use in counselling sessions. So glad that it’s helpful to you! Blessings to you. I need to share this with our church leaders, this is what we need, thank you so so much, God Bless you more. Thanks so much for this insightful look at the ministry of Jesus reaching out in compassion to those most in need, as we are called to do as Christians, living Christ-like lives. Love using this as an introduction to my teaching to counselling students at a Christian college in Australia. Hi Michele, thanks for visiting our website. Our office is located in Irvine, CA. Brilliant teaching. I’ve been teaching a course on Biblical Counselling and stumbled upon this article in my research. I found it to be a very concise yet thorough look at the topic! Very helpful teaching. So lifting and encouraging and love the fact that Jesus is the centre and should be the centre of it all. Thank you very much for blessing me with this study.